1500 Portuguese navigator Pedro Alvares Cabral, on a voyage to India, sails far to the southwest and discovers Brazil, claiming it for Portugal. The land was first visited earlier in the year by a Spaniard, Vicente Yanes Pinzon, but he failed to claim it for Spain. 1509 Henry VIII ascends the throne of England following the death of his father, Henry VII. "Henry VII's eldest son was Arthur, Prince of Wales. He married Catherine of Aragon, but died shortly thereafter, leaving the throne to fall to his younger brother Henry. History has not proved kind to the memory of Henry VIII (1509-47). He is often remembered as the grossly stout, overbearing tyrant of his later years. In his youth, however, Henry was everything it was thought a king should be. A natural athlete, a gifted musician and composer, Henry was erudite, religious, and a true leader among the monarchs of his day. Henry had none of his father's drive for the grind of administration. He handed over that role to his advisor, Cardinal Thomas Wolsey. This Henry was more concerned with cutting a fine figure than with balancing rows of figures like his father, and the result was predictable. Over the course of his reign he managed to turn a bulging treasury into a gaping black-hole of debt..."
1529 The Treaty of Saragossa is signed, dividing Spanish and Portuguese interests in the Pacific Ocean. Portugal regains control of the Moluccas in return for compensation. 1669 John Foster makes what most of his friends believe is the first woodcut engraving. 1760 Joseph Merlin crashes into a mirror while showing off his new invention, roller skates. 1793 Philadelphia plays host to a circus attended by George Washington. 1793 US President George Washington issues a Proclamation of Neutrality to ensure that the United States does not become involved in a war in Europe. "Whereas it appears that a state of war exists between Austria, Prussia, Sardinia, Great Britain, and the United Netherlands, of the one part, and France on the other; and the duty and interest of the United States require, that they should with sincerity and good faith adopt and pursue a conduct friendly and impartial toward the belligerant Powers; I have therefore thought fit by these presents to declare the disposition of the United States to observe the conduct aforesaid towards those Powers respectfully; and to exhort and warn the citizens of the United States carefully to avoid all acts and proceedings whatsoever, which may in any manner tend to contravene such disposition. And I do hereby also make known, that whatsoever of the citizens of the United States shall render himself liable to punishment or forfeiture under the law of nations, by committing, aiding, or abetting hostilities against any of the said Powers, or by carrying to any of them those articles which are deemed contraband by the modern usage of nations, will not receive the protection of the United States, against such punishment or forfeiture; and further, that I have given instructions to those officers, to whom it belongs, to cause prosecutions to be instituted against all persons, who shall, within the cognizance of the courts of the United States, violate the law of nations, with respect to the Powers at war, or any of them. In testimony whereof, I have caused the seal of the United States of America to be affixed to these presents, and signed the same with my hand. Done at the city of Philadelphia, the twenty-second day of April, one thousand seven hundred and ninety-three, and of the Independence of the United States of America the seventeenth." 1834 The Quadruple Alliance is formed between Britain, France, Portugal and Spain, supporting Isabella II's claim to the Spanish throne against Don Carlos. 1838 The British steamship Sirius becomes the first to cross the Atlantic from Britain to New York on steam power only. The journey from Cork to New York takes 18 days 10 hours. 1864 The US Congress authorizes the use of the phrase 'In God We Trust' on US coins. 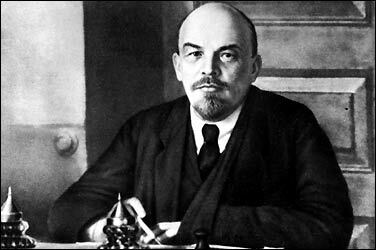 1870 Birth: Russian revolutionary leader Lenin, born Vladimir Ilyich Ulyanov, in Simbirsk. "...Lenin was the initiator of the central drama â€” the tragedy â€” of our era, the rise of totalitarian states. A bookish man with a scholar's habits and a general's tactical instincts, Lenin introduced to the 20th century the practice of taking an all-embracing ideology and imposing it on an entire society rapidly and mercilessly; he created a regime that erased politics, erased historical memory, erased opposition. In his short career in power, from 1917 until his death in 1924, Lenin created a model not merely for his successor, Stalin, but for Mao, for Hitler, for Pol Pot. And while in this way Lenin may be the central actor who begins the 20th century, he is the least knowable of characters. As a boy growing up in Simbirsk, Lenin distinguished himself in Latin and Greek. The signal event of his youth â€” the event that radicalized him â€” came in 1887, when his eldest brother Alexander, a student at the University of St. Petersburg, was hanged for conspiring to help assassinate Czar Alexander III. As a lawyer, Lenin became increasingly involved in radical politics, and after completing a three-year term of Siberian exile, he began his rise..."
1889 Father Ignaz Probst baptizes two day old Adolf Hitler, writing his name as 'Adolfus' on the certificate. Note: Hitler will live his entire life as a Catholic, though he will rarely attend a service after leaving his mothers home. He will never publicly renounce the church, nor will he ever be excommunicated. 1904 Birth: Dr. J. Robert Oppenheimer, Manhattan Project physicist. "J. Robert Oppenheimer was born in New York City on April 22, 1904. After graduating from Harvard and studying under Ernest Rutherford at Cambridge University, Oppenheimer received his Ph.D. in Germany in 1925. In 1929, he returned to the United States to teach at the University of California Berkeley and at Cal Tech. Upon hearing of discovery of fission in 1939, Oppenheimer immediately grasped the possibility of atomic bombs. In 1941, he was brought into the atomic bomb project and was asked to calculate the critical mass of uranium-235, the amount needed to sustain a chain reaction. The next year he assembled a group of some of the best theoretical physicists in the country to discuss the design of the actual bomb. General Leslie Groves, the army officer in charge of the Manhattan Project, named Oppenheimer the scientific director of the program, and together they decided on Los Alamos, New Mexico, as the site for the nuclear weapons laboratory. Groves said of Oppenheimer, "He's a genius. A real genius...Why, Oppenheimer knows about everything. He can talk to you about anything you bring up. Well not exactly. I guess there are a few things he doesn't know about. He doesn't know anything about sports." The staff grew from 30 scientists to 5,000, all trying to finish work on the bomb before the Germans did. On the day of the test, Oppenheimer fully realized the enormity of what he had just accomplished. As he stood watching the mushroom cloud, he recalled later, a phrase from the Baghavad Gita, the Hindu scripture, floated through his mind, "I am become death, the destroyer of worlds." This responsibility weighed heavily on his shoulders, and when he met with President Harry Truman in 1946, he exclaimed, "Mr. President, I have blood on my hands." He set up a research station for the Project at Los Alamos, New Mexico. Following World War II, Oppenheimer chaired the US Atomic Energy Commission. On December 21, 1953, during the height of anti-communist sentiment in the US, Oppenheimer was accused of delaying the naming of Soviet agents, and also of opposing the building of the hydrogen bomb. Although he was not found guilty of treason, his security access was taken away and his contract as adviser to the Atomic Energy Commission was terminated. In 1963, President Lyndon B. Johnson presented Oppenheimer with the Enrico Fermi Award of the Atomic Energy Commission. Oppenheimer retired from Princeton in 1966 and died of throat cancer the following year." 1915 WW1: The second Battle of Ypres in Belgium begins when the Germans disrupt a planned Allied offensive. A German poison gas attack, the first on the Western Front, demoralizes Allied troops and creates a large gap in their lines, but the Allies retrieve the situation after a bitter struggle. About 5,000 cylinders of chlorine gas are used by the Germans. 1919 Volkishness: Lanz von Liebenfels, now living in Budapest, is nearly executed on Easter Sunday by a Communist firing-squad during the Hungarian revolution. (See Also: 1954, below.) It seems significant that his linking of anti-Semitism and anti-Bolshevism date from this period. "...Why was there this fear of Communism in so much of Germany society though?...After the collapse of Germany in the First World War, the Communists and Socialists, were blamed for undermining the German state in its hour of need. This created amongst many nationalist and conservative groups the idea of the Novemberverbrecher. This idea was of course helped by past images of Communism as an evil, destabilising influence. The role of Communism in Germany's defeat was thus emphasised by many nationalist groups, particularly the Nazis, who used the past to warn about the future. They also now had the example of the Russian revolution to use. This added more weight to their argument, which in turn caused more angst amongst the people who heard and believed it. We know the Nazis, like many others, really did fear a Communist take-over, and as such the Communists became one of the major enemies of the party. The Nazis were able to utilise past conceptions, such as the Novemberverbrecher or Reichsfeinde concept, to show how Germany was being undermined from within, and that only a strong party , one with the people behind it, could fight against such an enemy. We can also see that hatred and fear of Communism were nothing new in Germany, it was merely adapted by the Nazis to suit their purposes of gaining support. It also shows how the Nazis were different from Herder and Fichte. Herder and Fichte advocated freedom of thought and action where as with the Nazis the very reverse..."
1930 The US, Britain and Japan sign the London Naval Treaty, regulating submarine warfare and limiting shipbuilding. 1931 Weimar: Averell Harriman meets in Berlin with both Friedrich Flick and Wilhelm Cuno, chief executive of the Hamburg-Amerika Line and a close Warburg associate. 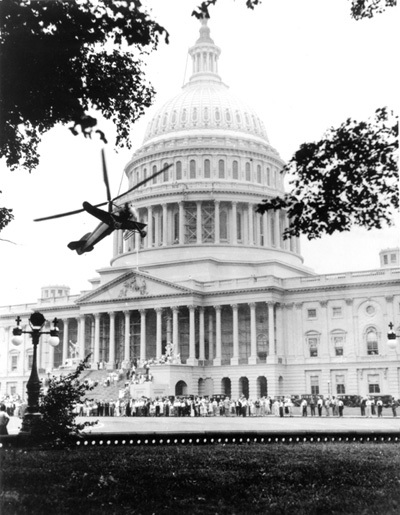 1931 An autogyro, piloted by inventor James G. Ray, lands on the lawn of the White House. President Herbert Hoover shakes hands with pilot and awards him a trophy. 1932 Fifty-two wild geese in flight are struck by lightning and killed near Elgin, Manitoba, Canada. 1933 Death: Frederick Henry Royce, co-founder of the Rolls-Royce car company. 1933 Holocaust: A law is passed dismissing all "non-Aryan" medical doctors, pharmacists, dentists and dental technicians from German hospitals, clinics and public health centers. 1934 Sir Oswald Mosley, leader of the British Union of Fascists, accuses English Jews of dual loyalty during his first public address in London. 1936 The Lithuianian government announces that all Jewish teachers institutes will be closed. 1938 Trouble breaks out in the Sudetenland signaling the beginning of the Czechoslovak Crisis. 1938 Holocaust: A German Law is published making it illegal for non-Jews to help conceal Jewish holdings. 1944 WW2: US forces began invading Japanese-held Dutch New Guinea with amphibious landings near Hollandia. 1945 WW2: General MacArthur announces that Cebu Island's capture has ended the Central Philippines campaign. 1945 WW2: Himmler sends a message to Allies through the Red Cross offering a German surrender, but only to the British or Americans. 1952 An atomic test conducted in Nevada becomes the first nuclear explosion shown on live network television. 1954 The televised Senate Army-McCarthy hearings begin. "The Army-McCarthy hearings dominated national television from April to June 1954. A subcommittee of the Senate Committee on Government Operations was seeking to learn whether Senator Joseph R. McCarthy had used improper influence to win preferential treatment for Pvt. G. David Schine, a former member of the senator's staff who had been drafted. McCarthy countercharged that the army was trying to derail his embarrassing investigations of army security practices through blackmail and intimidation. The congressional hearings were among the first to be televised, and they captured national attention because of McCarthy's notoriety. The camera made clear his methods and manner, greatly weakening his popular support and leading to his censure by the Senate on December 2, 1954. The word McCarthyism has become synonymous with the practice of publicizing accusations of treason and disloyalty with insufficient evidence." 1964 Greville Wynn, a British businessman imprisoned in Moscow in 1963 for spying, is exchanged for Gordon Lonsdale, in prison in London. 1969 British solo yachtsman Robin Knox-Johnston arrives at Falmouth after completing the first solo nonstop circumnavigation of the Earth in just 312 days. 1969 The liner Queen Elizabeth II gets underway on her maiden voyage from Southampton to New York. 1970 It is reported that Henry Ross Perot, a future candidate for the US Presidency, reportedly lost $450 million in the stock market. 1970 Earth Day, an event to increase public awareness of the world's environmental problems, is celebrated in the United States for the first time. Millions of Americans, including students from thousands of colleges and universities, participate in rallies, marches, and educational programs. Earth Day is the brainchild of Senator Gaylord Nelson of Wisconsin, a staunch environmentalist who hopes to provide unity to the grassroots environmental movement and increase ecological awareness. 'The objective was to get a nationwide demonstration of concern for the environment so large that it would shake the political establishment out of its lethargy,' Senator Nelson states, 'and, finally, force this issue permanently onto the national political agenda.' Earth Day will increased environmental awareness in America, and in July of that year the Environmental Protection Agency will be established by special executive order to regulate and enforce national pollution legislation. 1975 Honduran President General Osvaldo Lopez Arellano is overthrown in a bloodless coup and replaced by General Juan Alberto Melgar Castro. 1983 Australia expels, Valery Ivanov, the First Secretary of the Soviet Embassy. 1984 Britain breaks off diplomatic relations with Libya and orders all Libyan embassy staff to leave within seven days. 1984 Death: Ansel Adams, photography legend, in Carmel, California, at the age of 82. Born in San Francisco, an only child, Ansel Adams was self-taught, having ended his formal education in eighth grade. He originally planned to become a musician. By age 21, he had taught himself to play piano and considered himself a professional. His goal was to become a concert pianist. He didn't turn from music to full-time photography until 1920. Adams had to load his equipment, including an 8x10-inch camera and many glass plates, on a donkey when he made his photo excursions and took his legendary pictures in the Yosemite Valley in the early Twenties. 1985 Washington and Lee University researchers report that Martha Washington had an estimated fortune of 29,650 pounds when she and George were married; about $5.9 million in todays reckoning. 1990 Robert Polhill, a US hostage in Lebanon held since 24 January 1987, is released. 1993 The US Holocaust Memorial Museum is dedicated in Washington, DC. 1994 Death: Richard M. Nixon, the 37th president of the United States, four days after suffering a stroke, at 81 years old. 1997 Peruvian troops storm the Japanese ambassador's residence in Lima, freeing 71 hostages. One hostage, three soldiers and all 14 guerrillas are killed. 1999 Columbine: In Littleton, Colorado, investigators find a powerful bomb made from a propane tank, heightening suspicions that gunmen Eric Harris and Dylan Klebold, intended to destroy the school, and may have had help in assembling their arsenal.